In addition to the luxurious spa, adults will have two private lounge spaces to enjoy on board at Vibe Beach Club and Spice H2O, which will feature an all-new grotto area for guests to cool off after a day of sunbathing. Norwegian Escapes Mandara Spa experience, spanning two decks, will transport guests to a deep state of relaxation, with unobstructed views of the ocean, the opportunity to melt away on one of the 17 heated loungers, or find instant stress relief in the spa s hydrotherapy pool, whirlpools, steam room, dry sauna, sanarium and salt room. Once guests have heated up, they can step into the rejuvenating Snow Room, a first for the line. The Snow Room, which ranges from a frosty minus 6 to 0 degrees Celsius, sends out a flurry of powdery snow throughout the day, offering guests a multitude of health benefits, including stimulating blood circulation in the body and strengthening the immune system. In addition to the spectacular Thermal Suite, Norwegian Escapes Mandara Spa will be equipped with 24 contemporary furnished treatment rooms offering more than 50 signature services for both men and women including massages such as the Elemis Aroma Spa Seaweed Massage; Elemis signature facials such as the luxurious Elemis Pro-Collagen Quartz Lift Facial; and signature body enhancing treatments like the Exotic Lime & Ginger Salt Glow. Norwegian Escapes full service salon will have guests looking their very best with a wide-array of hair, nails, waxing and kid-friendly services, along with acupuncture, teeth whitening and cosmetic medical treatments, performed by a licensed medi-spa doctor, such as Botox Cosmetic, Dysport, Restylane and Perlane. In addition, guests can go home tightened and toned by opting for a Thermage CPT treatment, a premier non-invasive skin rejuvenating therapy that uses radiofrequency to improve the appearance of skin on the face and body in just one contour treatment. The salon area will also feature a Barber Shop, offering exclusive mens signature services such as the Elemis Pro-Collagen Grooming Treatment with Shave and more. Guests looking to stay fit while sailing, or who wish to try an exciting new exercise experience, can do so in Norwegian Escapes state-of-the-art fitness centre furnished with the latest Technogym weight training and cardio equipment. All cardio equipment will synch to Apple music devices and feature a large, HD screen from which guests can watch television, follow a set training programme or navigate the playlist. Norwegian group fitness favourites will be offered on board including Pilates, body sculpting boot camp, yoga, Zumba and TRX. Boxing buffs can enjoy Norwegians Fight Klub, a high-intensity cardio boxing class. Personal training sessions will also be available, along with nutritional consultations and metabolic testing. Norwegian Escape will also feature Spice H2O and Vibe Beach Club, two adult-only outdoor favourites perfect for lounging away the day. Spice H2O, located at the back of the ship on deck 17, is an adult-only enclave offering day-time complimentary leisure. A bevy of sun loungers surround a huge video screen, while two hot tubs await for those looking to de-stress. An all-new soothing grotto area, complete with waterfalls and perfect for cooling off from the warm Caribbean sun, will offer an exotic escape. At night, all guests can dance under the stars in this open-air dance club or enjoy a cocktail at the bar with accompanying lounge area, featuring comfortable seating while admiring the ocean views. Guests aged 18 and over will also have the opportunity to enjoy another private retreat %u2013 Vibe Beach Club %u2013 by purchasing an access pass. Complete with ocean views, a large hot tub, luxurious chaise longue-style sun loungers and a soothing water feature, Vibe Beach Club will be the ideal spot for adults to escape, offering a serene, comfortable setting while soaking up the sun. A full-service bar, water spritzers and chilled towels complete the exclusive experience. Currently being built at Meyer Werft in Germany, Norwegian Escape will sail weekly 7-night cruises from her year-round homeport of Miami to the Eastern Caribbean beginning on November 14, 2015. The 164.600 gross ton ship will be the largest ever to home port year-round in Miami, carrying 4.200 guests to tropical Caribbean destinations including St. Thomas, U.S. Virgin Islands; Tortola, British Virgin Islands and Nassau, Bahamas. Norwegian Escapes signature hull artwork is designed by marine wildlife artist and champion of ocean conservation, Guy Harvey. 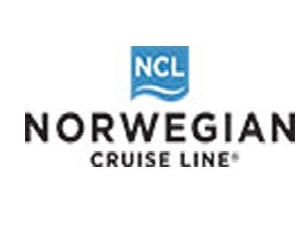 Norwegian Escapes dining and entertainment will include outposts of several popular land-based outlets, including the first-ever floating Jimmy Buffetts Margaritaville restaurant and Miamis oldest and most legendary bar, Tobacco Road. Norwegian Escape will also feature the 5 O Clock Somewhere Bar, a music venue and outdoor bar on The Waterfront that will feature live nightly performances where guests can enjoy the sounds of the tropics. The ship will feature the largest ropes course at sea, a three-storey multiplex of heart-pounding challenges complete with two planks and five Sky Rails, zip tracks that allow guests to soar through the air. Norwegian Escapes Aqua Park will be the largest at sea and includes a new Aqua Racer slide, while the expansive sports complex boasts a Teenage Mutant Ninja Turtle miniature golf course. Adding to the family fun, Norwegian Escape will also feature an expanded Kids Aqua Park; entertainment from Nickelodeon, the number-one entertainment brand for kids; along with the lines first dedicated nursery for young cruisers two and under.